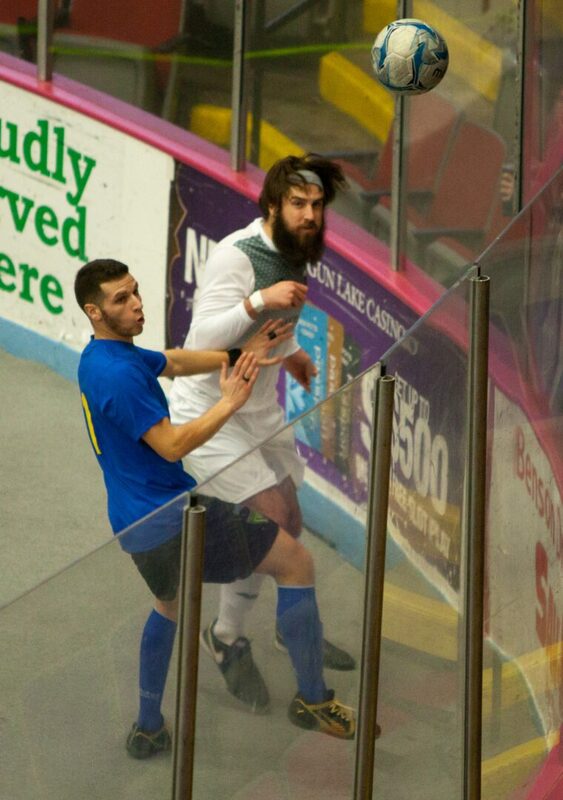 MUSKEGON – The new indoor soccer season had not been very kind to the Muskegon Risers. They came into Saturday’s night’s home game with an 0-3 record, and it was not a pretty 0-3. The Muskegon squad had been outscored 36-11. 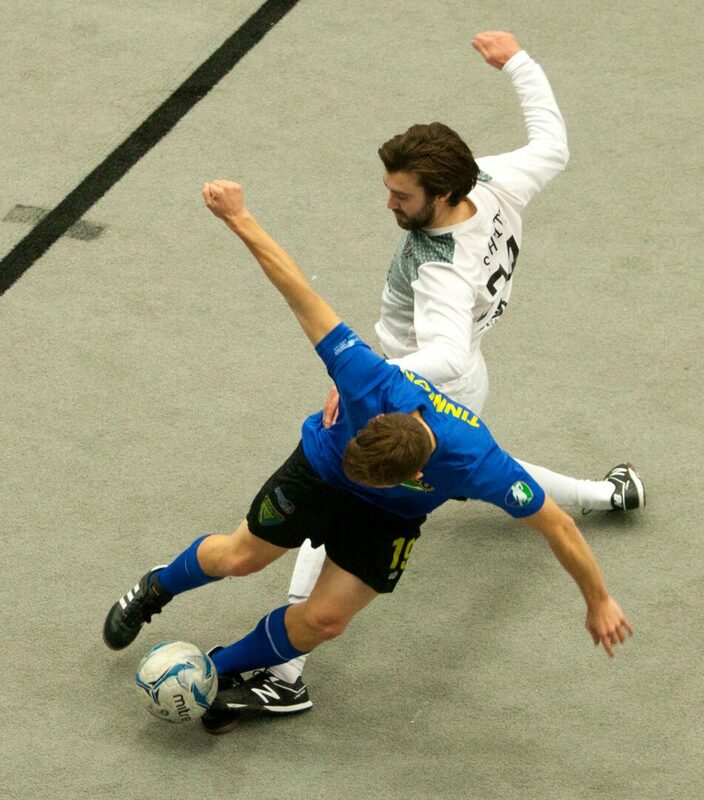 Muskegon’s matchup against Detroit Waza Flo didn’t start out any better, with the Risers falling behind 6-2 at halftime. 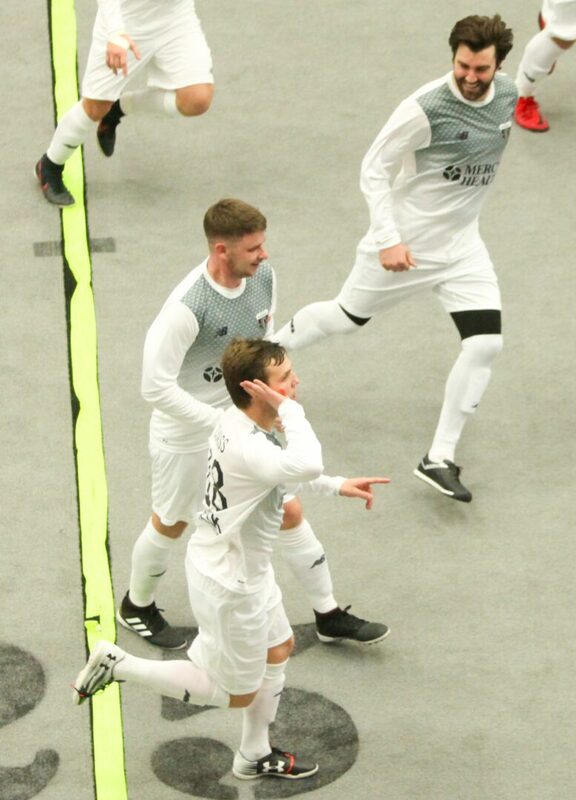 But then they roared to life, outscoring Detroit 9-1 in the second half to capture a thrilling 11-7 victory and their first ever win in the Major Arena Soccer League 2. “I gave them a pretty good spirited talk at halftime,” said Risers Coach Ben Ritsema. “They responded well. Two or three other guys spoke up too and said, ‘We’re going to win this game.’ I appreciate the leadership out of Stu Collins and Matt Schmitt. They kind of fired up the guys, and the team responded well. 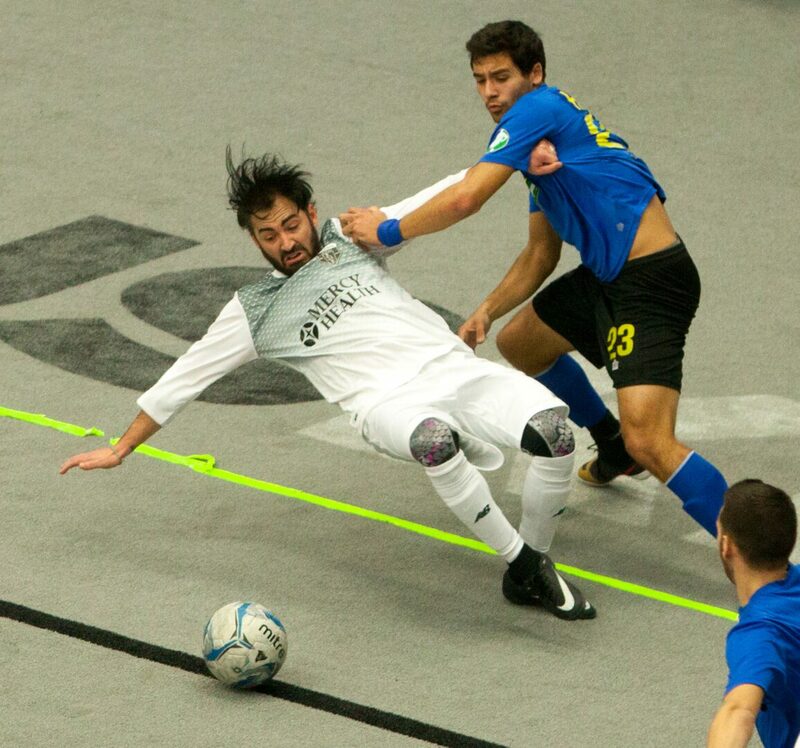 The Risers had great offensive balance, with eight different players scoring goals. Former North Muskegon High School All-Stater Justice Sikkim led the way with three goals while TJ Ifaturoti added two. 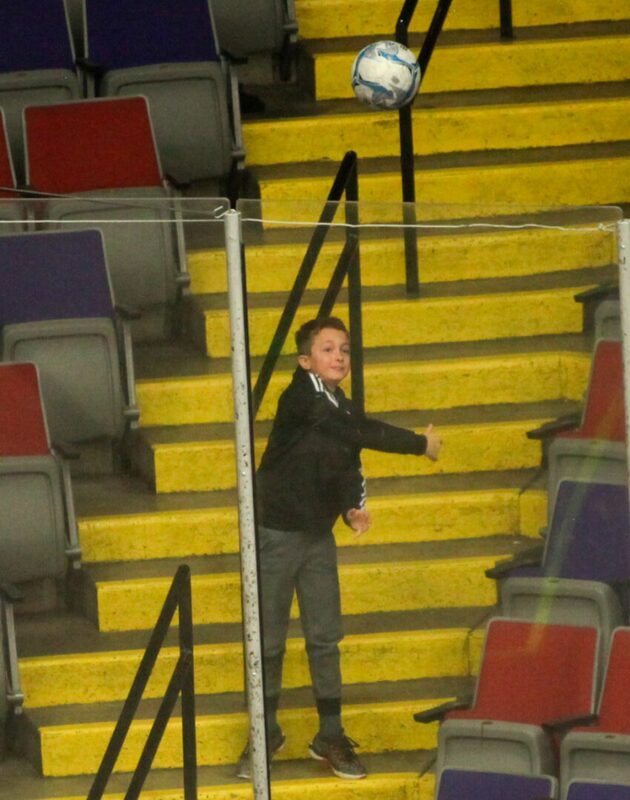 The game was special for Sikkema, who was playing with the Risers during the holiday break, but will leave the team to return to college in England in a few days. 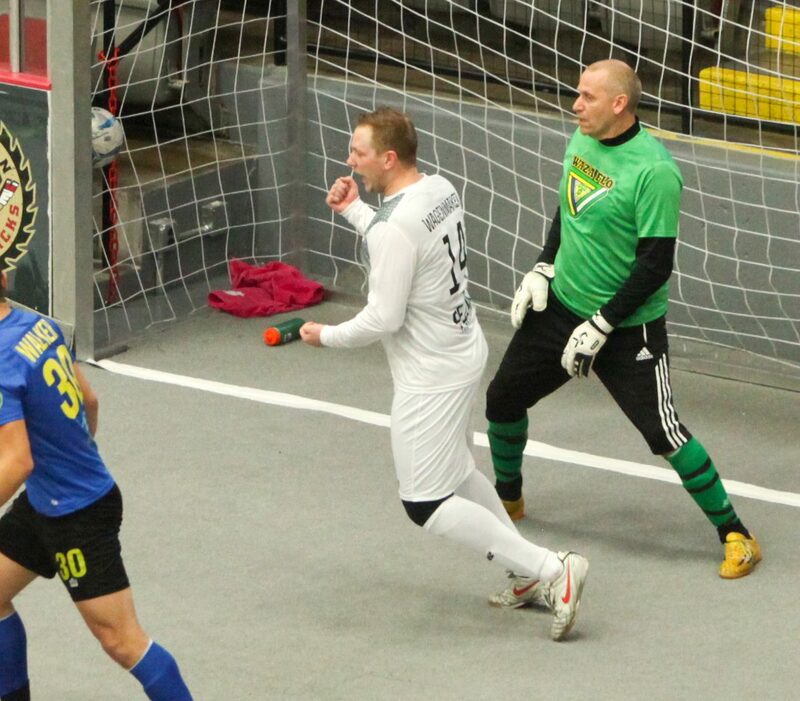 While Sikkema will leave the team for the rest of the indoor season, he said his Risers career is not over. nine minutes of the game. They trailed 3-0 after the first quarter. Detroit led 5-0 in the second quarter when Muskegon’s Matt Schmitt scored off an assist from Collins to make the score 5-1. 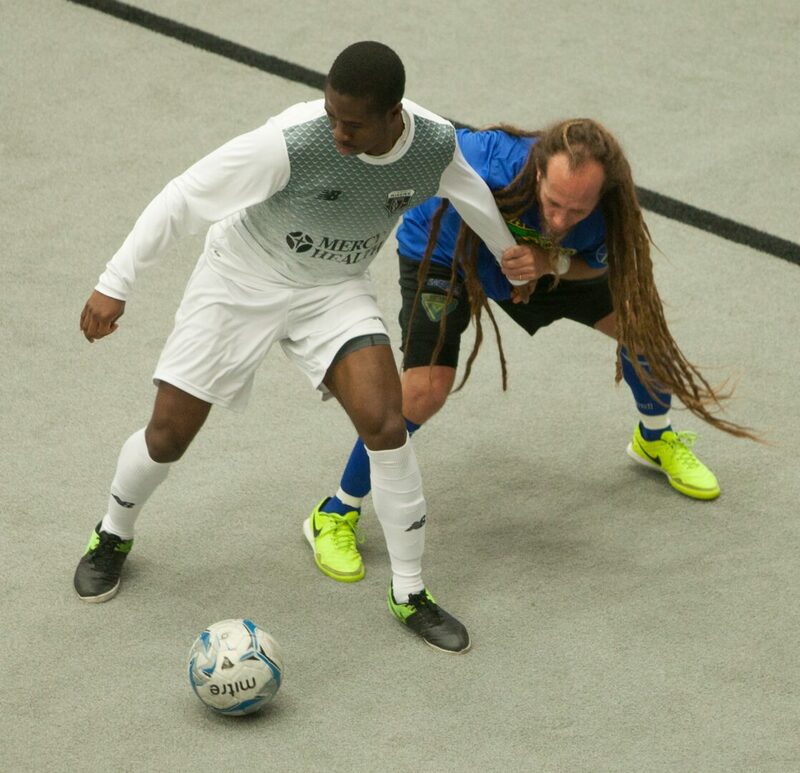 Paris Martins added a goal for the Risers with 1:36 left in the first half to make the score 5-2, then Detroit scored again to take a 6-2 lead into halftime. Sikkema scored for the first time with 9:21 remaining in the third quarter to cut the Risers’ deficit to 6-3. Detroit responded with a goal of its own with 2:31 left in the third to extend its lead to 7-3. The rest of the game belonged to the Risers. Nick Capisciolto scored on a long shot from beyond midfield with 1:28 left in the third quarter to make the score 7-4. Only 50 seconds later, Collins scored from 15 yards out to make the score 7-5, then a shorthanded goal by Ifaturoti with 2.3 seconds left made the score 7-6. The Risers’ Kody Harrell scored three minutes into the final quarter to tie the game 7-7. After a shouting and shoving match on the field, which led to the ejection of Muskegon’s Michael Schmitt and Detroit’s Dominic Scicluna, the Risers ended up with a 4-on-3 advantage with 9:01 remaining. They took advantage of the power play when Adam Clauss scored with 7:14 left to give Muskegon an 8-7 lead. Ifaturoti added a goal, and Sikkema found the back of the net two more times, sealing the victory for the Risers. Muskegon outshot Detroit 24-18 in the game after being outshot 13-6 in the first half. While the Risers scored a lot of goals, Ritsema said improved team defense made a big difference. 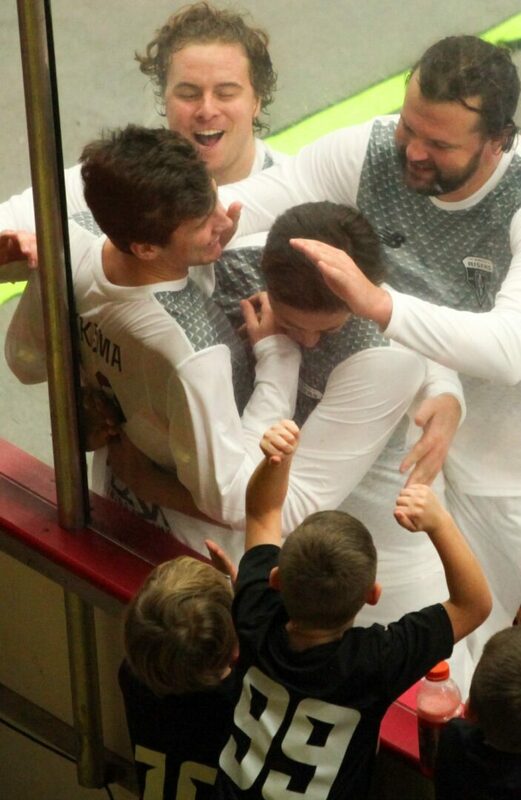 The Risers will return to action with another home game against Detroit Waza Flo on Jan. 19.